IS IT SUPPOSED TO BE WHITE? This is the most frequent question asked by brides and parents. 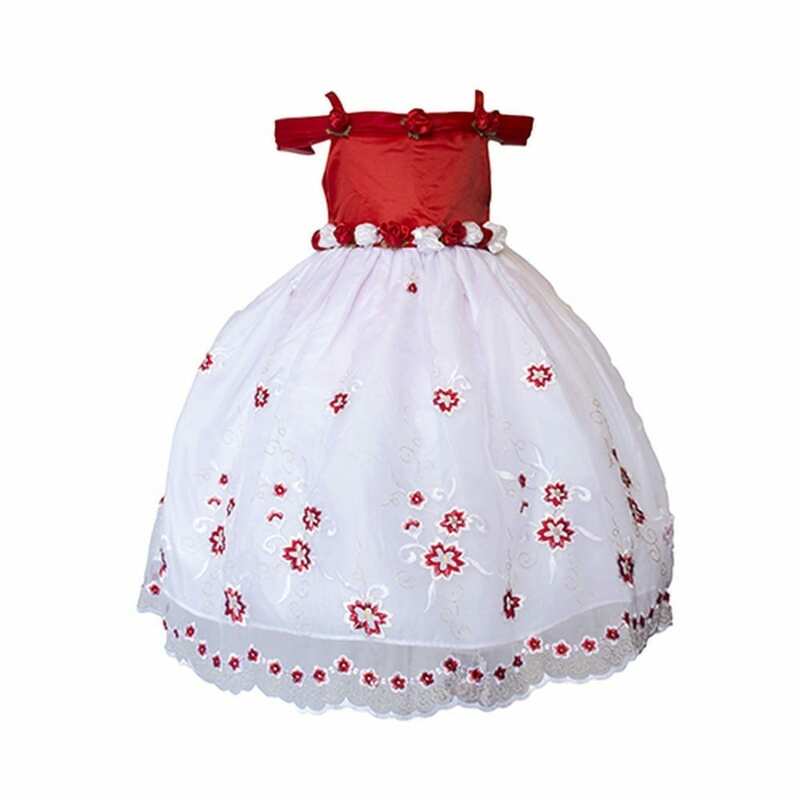 White is the traditional colour for bridal gowns, and also for flower girl dresses. 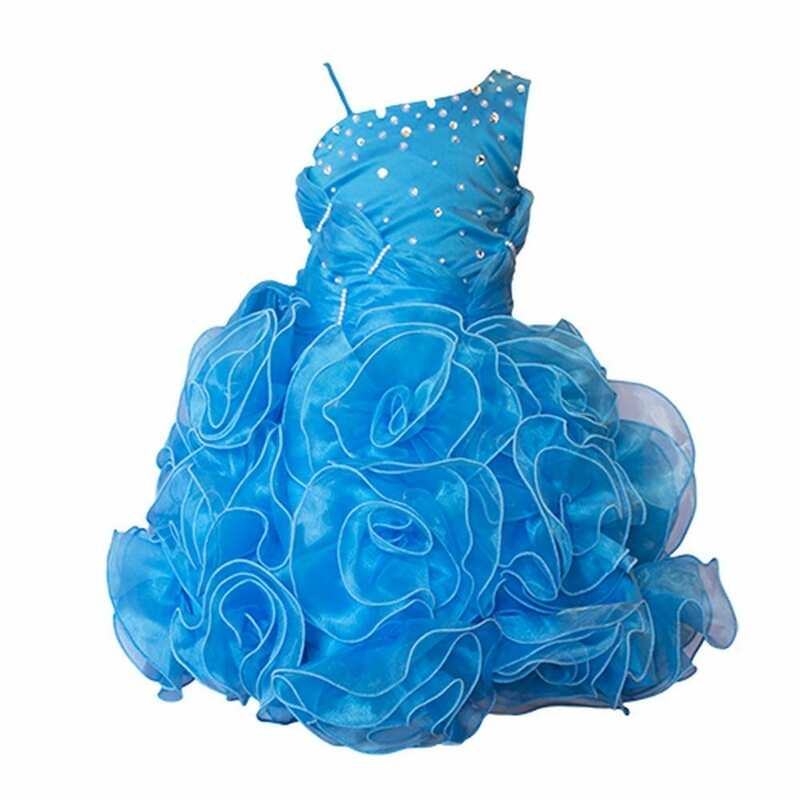 There are still lots of brides who choose a different colour for their dress. 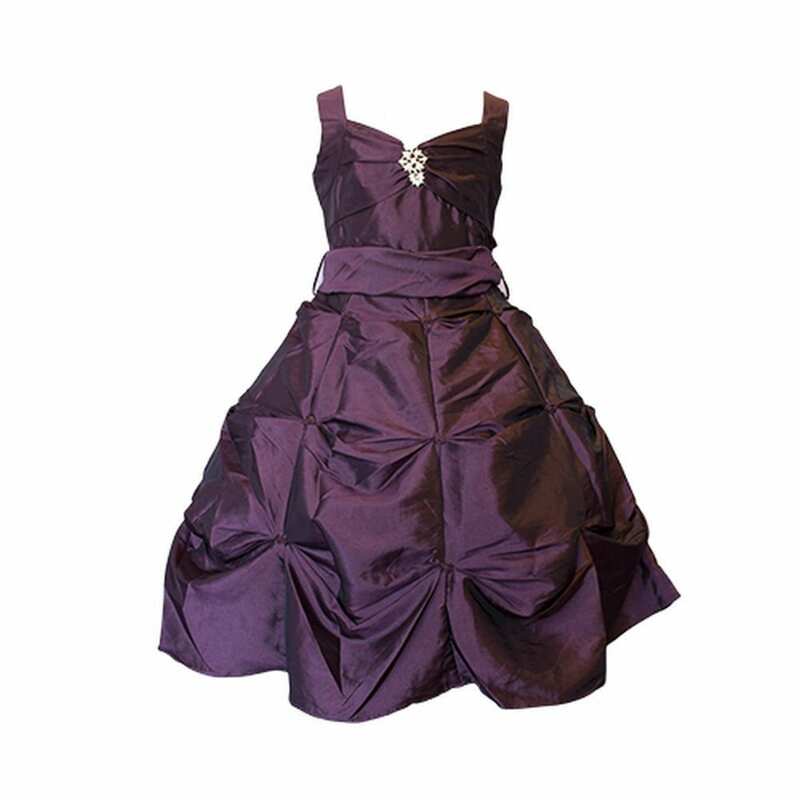 PURPLE, PLUM, EGGPLANT: Depending on the wedding theme, purple can be a well-deserved splash of colour in the event, especially if it is worn by both the bridesmaids and the flower girl. It’s a royal colour and it stands for nobility, power and wealth. RUSTIC COUNTRY: If you’re having a rustic wedding, you have plenty of options to choose from: lace, embroidered, ruffled or floral adorned gowns, in beige, light pink, champagne or even red. Complete the look with cowboy boots or a floral crown. 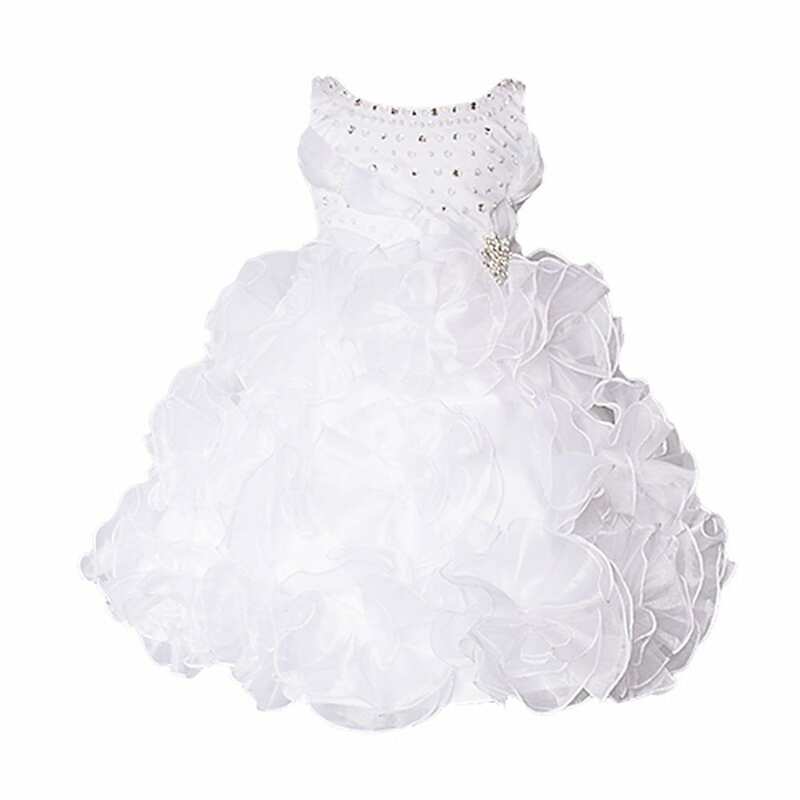 ONE SHOULDER: Junior bridesmaids want to feel beautiful but have outgrown the princess poufy dress stage. Let them shine in a one-shoulder cocktail style formal dress.